Scanning photos, converting slides or negatives, even making the perfect digital photo book is easy to do with the right equipment. Your Photo Helper has a variety of products to help you manage and properly archive your precious photos. They are the same products she uses herself. Depending on your goals, time and budget you may want to purchase one or more of these for yourself. Remember to set up a free consultation to ensure you always get the best system and/or products for your individual needs. 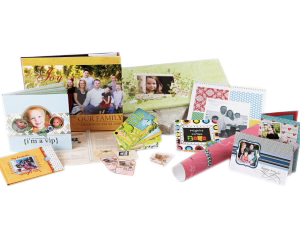 This online system is for creating amazing digital gifts and keepsakes. All you need is an internet connection and digital photos to get started. Create your free account at www.digistorybooking.com and let the crafting begin. Thousands of pre-designed templates and over 100,000 pieces of free digital artwork keep your creative juices flowing. Plus, Your Photo Helper is an independent consultant for Heritage Makers, which means you get personal and professional guidance and answers to all your questions along the way. Anything but archival quality boxes and albums leaves your photos vulnerable to fading, tearing and other irreversible damage. To help them last for generations store them in boxes and albums that are free from acidic paper and other damaging materials. 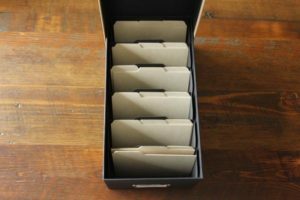 If you prefer this more “hands on” approach to storage, Your Photo Helper can help you determine a proper organizational system. This will ensure easy access to your photos to create gifts or celebrate those for family events such as birthday, anniversary, graduation or retirement. A free consultation includes help determining the products and system that best fits your needs and budget. * Estimated shipping is at $10 per box. This simple and convenient back up device is perfect for quickly saving all your photos on a separate, secure device. 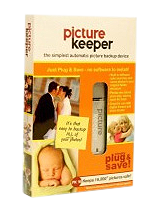 Simply insert Picture Keeper into any USB port on your computer and click on “Start Back-up”. Picture Keeper automatically finds and saves all your digital photos. The built-in software will remember which photos have been backed up and start where it left off each time your run the back up setting. 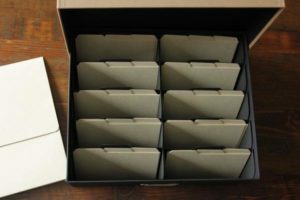 It’s the perfect tool for keeping all your precious photos safely preserved no matter what life may bring your way. Your Photo Helper can certainly scan photos, and convert negatives etc. at very reasonable rates. But if you have the time and interest, or prefer to do it yourself, this handy and portable scanner is easy to use and a real value. It scans single photos up to 4 x 5 inches in size at either 300 or 600 dpi. Unique stitching software makes scanning larger photos or documents easy as well. Flip-Pal is convenient, easy to learn, and perfect for any size project. 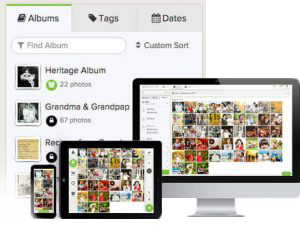 • Take ownership of your stored photos. • Store photos ONLY as long as you continue paying their monthly fee. • Collect data from the meta data on your photos and sell it (along with your email) to 3rd party companies. With one single (or 12 monthly) fee, FOREVER(R) guarantees your digital back up for your lifetime PLUS 100 years. Your photos are safely stored in their original full resolution and best of all, your photos and your personal information are yours to keep.